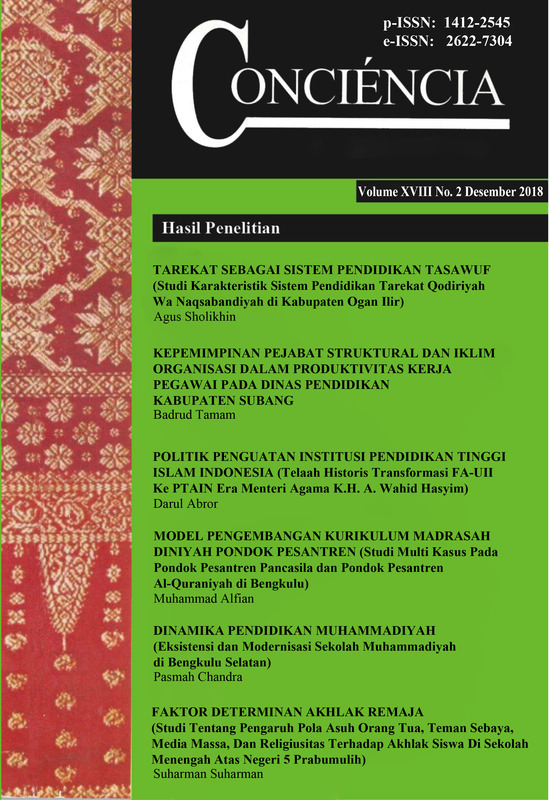 The purpose of this study is to empirically examine the contribution of leadership of structural official and organizational climate to employee productivity at Educational Department of Subang District. The method used in this research is descriptive research with quantitative approach. Population of this research amount 116 employee, and determination of respondents using proportional random sampling which amount 54 employee. Data were collected using a questionnaire instruments that was developed in the form of Likert scale. Data processing techniques using path analysis. The results showed that leadership of structural official contribute to employee productivity amount 38,99%, organizational climate contribute to employee productivity amount 21,11%, and simultaneously leadership of structural official and organizational climate significantly contribute to employee productivity amount 60,11%. These results implies that organizational leader should have a good leadership behavior that develop conducive and pleasurable organizational climate. So that employee bring about high job productivity.